Entertainment Earth Exclusive! This incredibly detailed Bif Bang Pow! 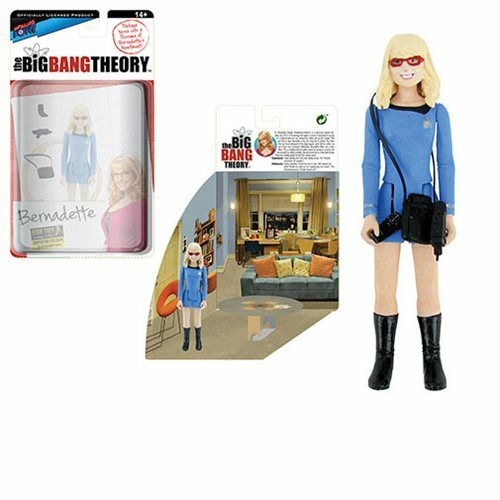 The Big Bang Theory / Star Trek: The Original Series 3 3/4-inch scale action figure of Bernadette Rostenkowski-Wolowitz showcases the Microbiology expert in a blue sciences Starfleet uniform and black boots, all while wearing her signature red glasses. Also included are her very own Communicator, Phaser and Tricorder accessories.